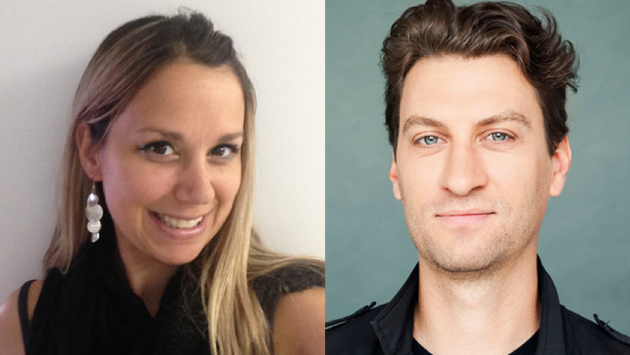 Alexandra Roy and Gabriel Anctil will lead the TravelPulse Quebec team as Editorial Director and Lead Journalist, respectively. John Kirk, President and Editor in Chief of Travel Pulse Canada Inc. is pleased to announce the appointment of Alexandra Roy as Editorial Director, and Gabriel Anctil as Lead Journalist for TravelPulseQuebec.ca. "As part of our commitment to the Travel Agent community in Quebec, it is with great pleasure we make this announcement today," said Kirk. The popular editorial duo will be based in Montreal, and will be committed to creating proprietary content that the trade industry needs. Alexandra Roy, Directrice éditoriale, brings more than 10 years of experience in journalism. She has written for French media outlets such as Le Courrier Laval, Le Journal 24H, Le Journal de Montréal, Summum Girl, Canoe.ca and the QMI Agency. In 2012, she made the jump into travel journalism, where she started to write for French trade publications such as Express Voyage and Tourisme Plus, before joining the team of TravelPulse Quebec. She is also the author of two novels written for teenagers and adults. Garbriel Anctil, Journaliste, is a prolific author, photographer and journalist. He writes, as a travel journalist, in publications such as Montreal’s daily Le Devoir, Espaces Magazine and Nouveau Project. He is the author of Escale à Barcelone, a travel guide to the Catalan capital. He has also published three successful novels: Sur la 132 (2012), La tempête (2015) et Les aventures érotiques d’un écorché vif (2016), as well as fourteen children books, in the popular Leo series. Some of Leo’s books have been translated in Spanish and are distributed all over the world. He has been as a scriptwriter for television shows such as Les Parent (SRC), Fée éric (VRAK.TV) and Les Argonautes (Télé-Québec). Gabriel Anctil is also the co-creator, scriptwriter and co-host of the radio documentary series Sur les traces de Kerouac (Ici Radio-Canada Première). “Many of our advertisers encouraged us to roll out in Quebec as they felt our fresh innovative way of delivering the news in English Canada would work very well in Quebec. We are happy to have their support as we head into 2019,” added Kirk. Travel Pulse Quebec will launch in early September. Visit us at www.TravelPulseQuebec.ca to pre-register to receive our daily newsletter.